It’s nearly 2013 and soon, I will be looking forward anew to provide all readers of this blog some fresh new list of schools duly authorized by the Technical Education and Skills Development Authority. I will include on that list the lineup of new short vocational courses that high school graduates and interested applicants and students can take from this agency of the Philippine government. In the meantime, heading over to their official website revealed that there were facts regarding possible courses offered in Taguig training center which happens to be the main branch office of the agency. You can also find the hotline below. For those who would like to know, please continue to read below. Also provided below is the full contact details and address where you can come and contact in case you have certain questions to ask for inquiry. Other than going online and be frustrated in not finding the right information that you need to find out, it is always best suggested to make a call using these numbers. If you could visit in person, I have the full office address below. Hi po… Ask q lng kung kailan po ang start ng klase sa tesda? I have plan po sana na magenrol for the course of cargiving. How much po yung tiution fee? At ano po mga requirments? San pong branch ng TESDA offering dressmaking/garment technology course? Please advise po I want enroll po sana. Thank you in advance sa help. Hi ahm ask ko lang po kung may iba pang course ?? I’d like to know the fee for baking? What are the requirements. i am from baguio city i would like to know where can i have my assessment for travel services and tourism promotions. I would like to ask if how much enrollment fee if i enroll this course (Computer Installation, Maintenance and Repair) kindly give me the complete details of the enrolment procedures, requirements and etc. 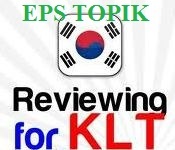 Wala po bang course na korean language? Taga norzagaray bulacan po ako. I would like to enquire about the Lanuage lessons offered by TESDA specifically Korean language. May I ask if you have classes offered on weekends? How long would this language lesson take? Or how many sessions would it be? Please advise. Thank you. May I inquire how much is the training fee for the course Ship’s Catering Services NCIII for Chief Steward position. Thank you. I just want to ask the nearest branches in taguig for culinary arts course. Magtatanong lang po sana kung kelan po magsisimula ang Japanese Language Class ng Tesda Taguig? Maraming maraming salamat po. Gudmorning to you’re mam. And sir when po mg kakaron ng training sa Housekeeping?.. I just want to inquire if you have available training schedule for calibration of Weighing scales? And may I know also if how much would be the cost for training per person? Because here in the company they are requiring for a calibration certificate for weighing scales that is one of the ISO Requirements. Can you help as with regards to this matter. Hope for your response as soon as possible. I would like to inquire about the Spanish course for this year. The dates and schedules available. Ask k lng po kng my rac nc1 po n course s tesda tagig at kng my scholarship po b for that certain course?!.. Pls do reply…. good day. i want to know if there avalable course like training for call center jobs? good day po sa mga offered courses niyo po na naka list sa taas meron po bang payments?ano po ang mga requierements na needed? Do you have any courses for audio technicians? thank you. Good day.i am mary jean flores from bcda taguig.i would like to inquire on how to enroll in your short course in commercial baking.please reply.thank you. How much is the cost for culinary arts and when is the next schedule? 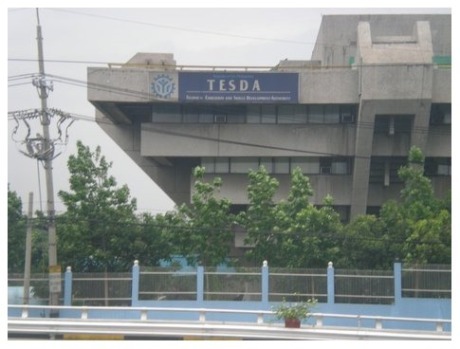 i am interested on online training on short courses offered by tesda…. do you offer training on HOW TO START SMALL BUSINESS…. How much and how’s the process in order to own the car? Just want to inquire regarding the Comprehensive Commercial Baking requirements, fees and clas schedule. wala po ba kayong course na machinist? tnx a lot po..
Good afternoon po.Inquire KO po sana kung kelan mag start ang Culinary arts and commercial baking.Possible po ba na pwedeng magsabay ang pagkuha sa course na I to?thank you po and more power tesda.